There are many activities in and around Torrevieja including horse riding, water sports, water parks, golf, kart racing, to name but a few. There are 3 golf courses within a 3 mile radius all of which are to Championship standard. Villamartin Golf Club (Host to the Spanish Open), Las Ramblas of Orihuela Golf Club and Real Golf Club, Campoamor. Terra Mitica, a fantastic theme park North of Alicante, is less than an hour from the townhouse and is a wonderful day out. 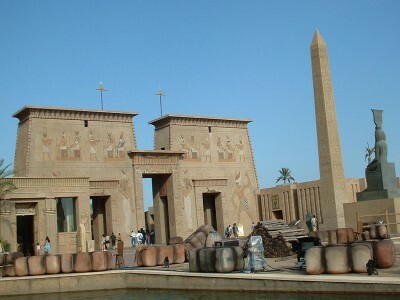 It is set in 5 different ages including Roman Times, Medieval Spain, Egypt and more. It has lots of rides and adventures for children and adults, including the largest wooden rollercoaster in Europe. It is a fun day out for all the family. Tennis is everywhere with many clubs and courts available to play all year round. Swimming is very popular either in the pool or warm Mediterranean. Water sports, sailing, horse riding, gyms, football, squash, dancing, darts, aerobics are all available there plus many more. The beaches of Southern Costa Blanca are famous throughout Europe with long stretches of soft white sand and sparkling clear Mediterranean sea, each boasting the European Blue Flag awarded for clean beaches and unpolluted water. 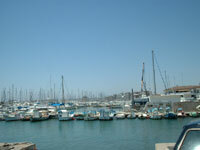 Something not to be missed is a trip to the small but beautiful Isle of Tabarca. The Cruceros Tabardo ships can take you there every day, as well as to Cabo Roig, where you will enjoy the most beautiful views of Torrevieja. Every afternoon there are excursions along the coast, that can be closed with a romantic cruise in the evening and a delicious dinner. A night you will always remember.